غرفة مزدوجة أو توأمية مع إطلالة على المدينة. يقع نزل Silver Fern على بُعد 7 دقائق سيرًا على الأقدام من بحيرة تاوبو، ويحتوي على منطقة شواء وتراس مشمس مع إطلالات على البحيرة، وتشتمل صالة الضيوف على تلفزيون إل سي دي بحجم 43 بوصة ومدفأة وطاولة بلياردو. 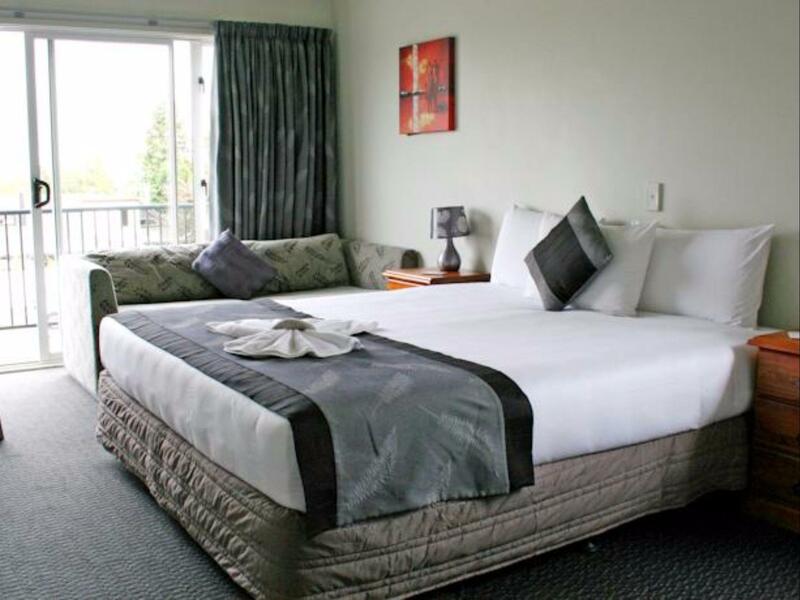 يفع Silver Fern Lodge Taupo على بُعد 10 دقائق سيرًا على الأقدام من شارع Tongariro الذي يحتوي على العديد من خيارات التسوق وتناول الطعام، كما يقع على بُعد 10 دقائق بالسيارة من كل من مطار تاوبو وشلالات هوكا الشهيرة. تحتوي جميع الغرف على بطانيات كهربائية وتلفزيون، كما أنها مُدفأة، فيما تحتوي معظم الغرف على ثلاجة وآلة لصنع الشاي والقهوة، وتشتمل بعض الغرف على شرفة خاصة. يُمكن لمكتب الجولات السياحية حجز الأنشطة، بما في ذلك القفز بالحبال والقفز بالمظلات وصيد الأسماك، ويحتوي مكان الإقامة على مطبخ مشترك ومرافق تخزين الأمتعة، ويتوفر موقف مجاني للسيارات في الموقع. سيطلب من الضيوف عند تسجيل الوصول إظهار بطاقة هوية تحتوي على صورة شخصية وبطاقة ائتمان. يرجى ملاحظة أن جميع الطلبات الخاصة ستكون رهنًا بالتوافر وقد تستلزم تكاليف إضافية. Good value for money. Would stay there again. Generally good. Breakfast is provided. Only thing is the location is a little far from the town centre for walking. Wonderful staff, comfortable room, amazing breakfast, good views. I honestly can not fault this hotel. 100/100 from my wee family and myself. Defiantly will stay again. 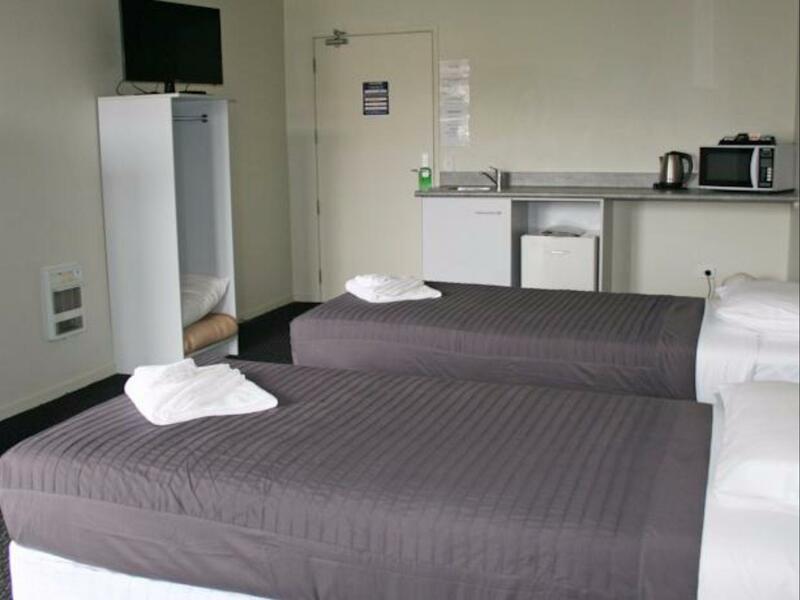 This is a really comfortable modern accommodation with great shared kitchen facilities if required. We stayed for 3 nights which included breakfast as a deal through Agoda which was $80 per night for 2! It's was a bargain! There were a few minor issues like no sink plug, dishcloth, tea towel for washing your dishes but with a large shared kitchen at the end of the hall, it was not a big deal. We really enjoyed our stay & we most definitely will stay again even at full price! There is no complimentary wifi provided for guest which is a big shame in modern days. 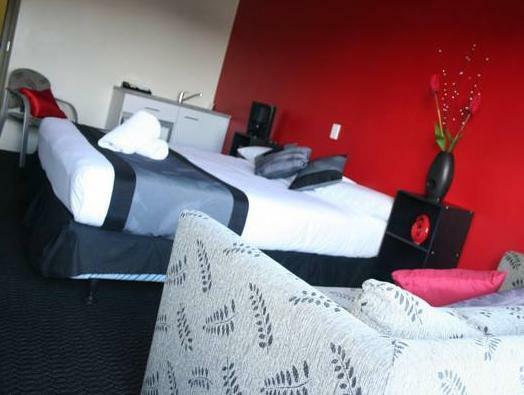 Room is extremely small for NZ standard. There isn't a coffee table in the room....no space for that anyway Kitchen is attached to the room. Very friendly staff, clean and roomy Dining area for the Dormitories, storage for bikes for those who can't keep them in the room. Great! Very close to Taupo central. 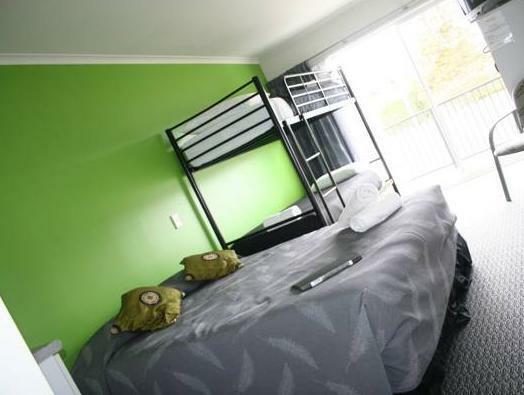 Wonderful friendly staff, clean, big dining area for Dorms, towels supplied was a plus. Though bit concerned about having unisex dorms. Big kitchen and lounge.10 min walk to the shopping area. We need to purchase wifi card as it did not provide and it can only be used in the lobby area. Rooms cannot be access. But the reception guy told us it can be used. Furniture a bit old. It was a pleasant stay though there was not many people staying as it was weekdays and not holiday season. When I book in agoda, it stated there is private bathroom. However, actually that's a public bathroom / toilet outside our rooms, very much disspointing and not to what we expected. As we don't have mobile phone there, it was to my suprise the host wasn't very willing to lend us the phone, which made our journey very inconvenient as we have to confirm some local your booking upon arrival. I was quite worry about the noise generated from the function room just next to my room. But it really did close at 10:00pm sharp as stated. Big and clean shared kitchen. Free parking. Staff clean the kitchen daily. She checked every plates and utensils to MaKe sure they are clean n she will wash them all over again. Friendly staff. Abit far from lake though, but its fine if drive. No free wifi. It was great. A very busy weekend with lots of groups staying but we weren't disturbed. Near to the city centre. Large kitchen where all the cooking utensils, cutleries and all that you need is provided. It was a great motel, especially if you wish to cook, it is near the supermarket and city centre. The kitchen was very well equipped, toasters, ovens, water flasks, fridges, even has a bbq pit! Good for family who wish to have a getaway. Our double room had a balcony where you can see the lake. The room had a comfy sofa, tv, and all the basic essentials were provided. The guest lounge has a pool table and tv with speakers provided. comfortable stay. well situated to be quiet enough to sleep.